He wrote that any secular studies were banned by the sages of the Talmud, and that specially the study of psychology and history is pure heresy. If it is true that he wrote this, why? How could there be such an enormous and outstanding machlokes between Rav Shach zt"l and Rav Soloveitchik zt"l? Yes, granted they had very different hashkafos, but for Rav Shach to say that secular studies is apikorsus and Rav Soloveitchik that it is advisable for some to even get a PhD? I think my bigger question though, is how people could so easily ignore the shita of a gaon like HaRav Shach. 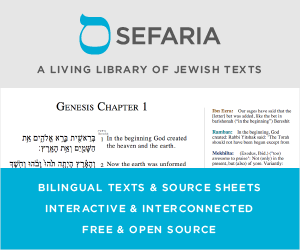 I am young and myself do a lot of secular studies, but feel a need to really understand the shitah. Why don't people give it more attention? It seems like it's for their own agenda and expediency that they don't discuss the Tzadik's ideas. I know they aren't really ignoring as much as they disagree, but to not at least give it more thought? I bet the concept of removing or significantly diminishing secular studies in schools has not been seriously considered in quite a while. Even in the most lomdish yeshivos in America they do significant secular studies. This opinion of Rav Shach is undoubtedly stemming from the Bartenura in Sanhedrin in the beginning of Chelek. He say included in sefarim chitzonim are history books of nations who are idol worshipers. To answer your bigger question, probably most people ignore Rav Shach's opinion as most halachik sefarim have ignored this opinion of Bartenura. It is an old idea that was never accepted. Not the answer you're looking for? Browse other questions tagged chinuch-education college-university-school secular-culture rav-joseph-ber-soloveitchik rav-shach . Did the Egyptians use whips on the Hebrew slaves? Why do we assume so?